In ecommerce a mobile optimised site is in nearly all circumstances better than an app. A study by MDG showed that 73% of people prefer to shop via a mobile browser. A mobile optimised site is a necessity. Therefore the real question is actually after I have a mobile optimised website do I also need an app? An app is an extra tool which can be extremely beneficial in the right context. I will discuss when you should invest in an app in my next post. To begin, lets very briefly iron out the main difference between a mobile site and mobile app. A mobile website is viewed via a mobile browser and in most circumstances is an optimised version of a companies normal website. A mobile app is an application built for a specific mobile operating system. It has to be built using the native code for that operating system and will run more like a programme you would use on your computer rather than a website. Wihtout further ado here are the top 9 reasons why you should create a mobile optimised ecommerce web site way before you even start thinking about an ecommerce app. Once a mobile site is built it can be immediately accessed on any device that has a mobile browser, which means you can reach numerous platforms with one build. An app however can only be accessed after being installed. Additionally it can only be viewed on the operating systems you have built the app for such as windows, iOS & android. This is an unnecessary obstacle to engagement for general user intentions via a mobile device such as locating a store or checking the price of a product. A simple but relevant point. Users expect you to have a website and therefore expect to be able to easily access your site via mobile. Apps are very popular however people still dont expect you to definitely have an app and therefore are highly likely to search for your website first. You should always provide your users with the solution they want by giving the user the thing they are searching for in the best possible way. I see apps as a potential complement to a well optimised mobile site. A) All updates have to be pushed to the user and then accepted and downloaded in order for the update to be installed. B) A few app stores such as the itunes apple store have a compulsory approval process for each update and for the initial launch onto the store which can take upto a month. C) If you have multiple apps on different platforms you will have to create individual updates for each one. Your mobile website content is indexed by search engines so you can be discovered by people performing relevant queries on search engines. You also have the potentially to improve your ranking by performing search engine optimisation techniques. At the moment apps do not turn up in search engine result pages because they are not indexed by search engines. They are in most cases confined to app stores. This can dramatically hinder your traffic potential if you choose to build an app instead of optimising your mobile site. Traffic can be low or less engaged on your mobile site due to poor mobile compatibility. Website URLs are incredibly easy to share across numerous different platforms (Blogs, Facebook etc) and work with any mobile browser. Once someone receives a URL, as long as they have an internet connection, they can open it immediately. An app just cant be shared as easily. Links to apps can be shared easily but you will always come across the problem that each individual app only works on a particular operating system and therefore whoever you share it with must have that operating system in order to download it. In the majority of circumstances mobile websites are commonly easier and cheaper to build than an app unless you have a very complex website. They are also quicker to build especially if you are looking to create a few apps on different operating systems, such as android and iOS, so you cover a large proportion of the mobile market. In addition to being slower and more costly to build there are also increased maintenance cost for fixing bugs, improving etc. A lot of companies probably wont have in-house developers with the coding skills required to modify apps on android and iphone and will therefore have to pay handsomely to outsource it. In comparison your resources who manage your website are very likely to be able to manage your mobile site as well with only a small increase in upkeep time. There is an extremely high likelihood that you can easily utilise your current analytics package for your mobile site too. To measure interactivity of mobile apps you will need to use different analytics, possibly at an additional cost. Not only this but there is a completely new type of data analysis to learn based on user engagement with apps. Therefore you have to realise the potential learning period and extra resources required to properly understand and optimise an app. Recent coding advancements, most notably HTML5 and CSS3, are improving mobile website capabilities to the point that they can increasingly perform just like an app. Previously one of the biggest problems hindering this advancement were the data connectivity speeds available, however technological advancements such as 4G are removing that barrier. 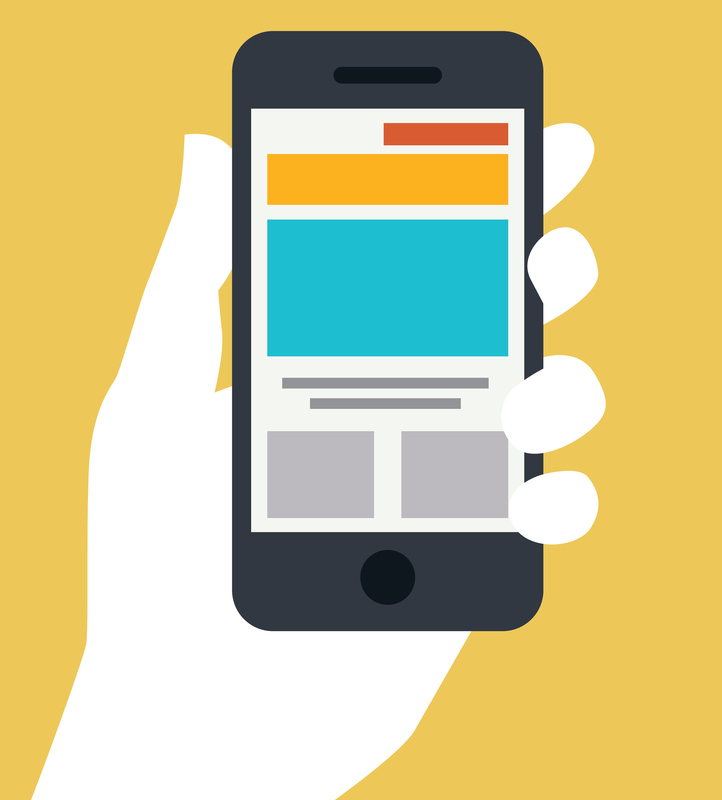 The benefits of building a mobile website before an app are very clear. They are heavily weighted towards building a mobile website mainly due to increased accessibility which gives you the ability to reach a very large audience and also the amount of control you have at your fingertips to make immediate changes. Finally its a more cost effective choice both for initial development and ongoing maintenance costs. Even if there is some specific functionality that you know your customers will really appreciate you should get mobile optimised first. After this you should weigh up the increased value for your customers from developing an app against the known increase in initial and ongoing costs. Apps can provide great customer value and should definitely be looked into once you're mobile optimised. Get feedback from your customers first and dont act on impulse.